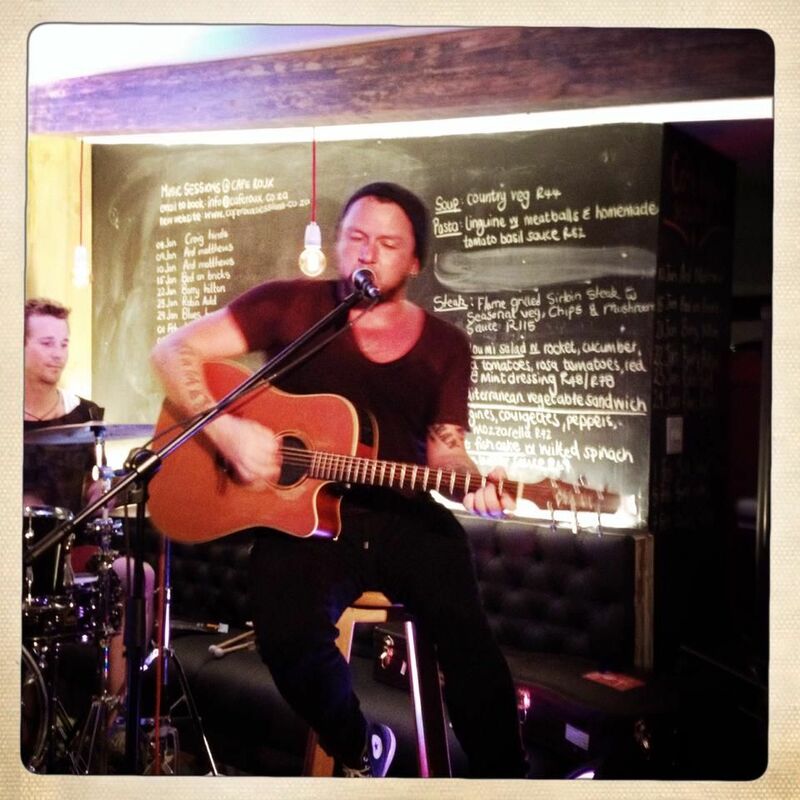 Ard Matthews – Live at Cafe Roux, Noordhoek Farm Village. Acoustic rock artist Ard Matthews needs very little introduction to our cafe Roux audience. The much-loved frontman of legendary SA rock band, Just Jinger, delivers a world-class solo acoustic performance every time he visits their little stage.